When you buy a Chevrolet Corvette Z06 in this color, you want it to be noticed. The problem with the particular car was that it had lost a little bit of its luster. The owner brought it to Jay’s Detail Studio to get that new car pop back and then protect it to keep it looking that way. As you can see from the picture below, upon close inspection the paint was filled with micro-scratching that was dulling the finish. Before we could move on to the protection and preservation steps, we needed to correct the paint to remove the scratching and bring back the shine. In the picture below you can see the paint after it was corrected. You notice the micro-scratches are gone and the panel now has the gloss that was missing pre-correction. Now, we are ready to protect the newly corrected surface to keep the scratching from re-appearing and also prevent nicks and damage from rocks, insects and road debris. The next step for this vehicle was to have every exterior panel covered and protected with Suntek Ultra Paint Protection Film. We do custom installations that fully protect the painted areas while hiding any seams or edges so you literally cannot even tell that the protection film has been installed. This isn’t your garden variety kit. This is full, custom installation that requires removing badging, vents, etc to get full coverage and hide edges and seams. Check out the pictures below for an example of the level of attention to detail and coverage we offer at Jay’s Detail Studio. After all the panels are covered and cured, we apply a full coating of Cquartz Professional. This coating will preserve the finish and protect it from things like bird droppings, acid rain, bug staining and other environmental dangers. 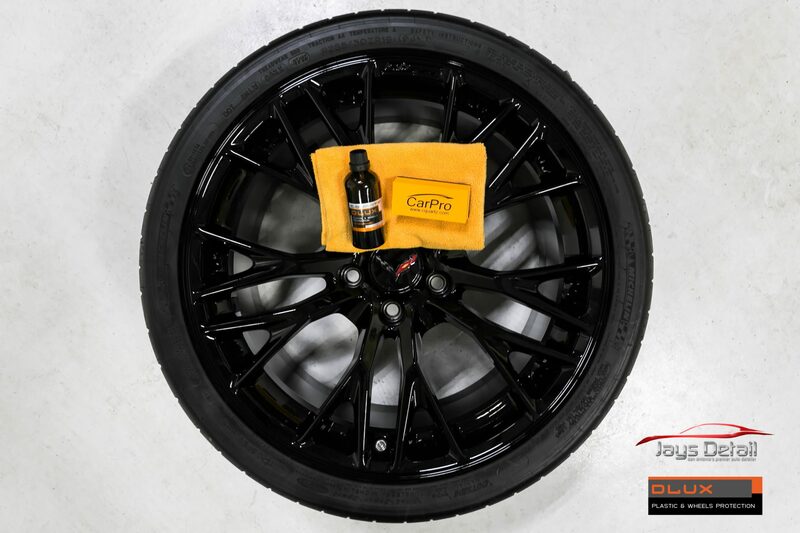 Once applied, the Cquartz needs to cure under infra-red lights to fully harden and maximize the protection. The finished results are simply stunning. This is what this car was supposed to look like! Take a look at the complete pictures below. If you car just doesn’t have that eye-catching look it once had or you want to make sure that new car you just bought maintains that fresh off the lot appearance, come and see the team at Jay’s Detail. We have packages to protect and preserve your car from day one as well as restore and protect your car that is showing a little wear and tear. There is a difference in discount work and quality craftsmanship. When you want the very best value for your money, you can reach Jay’s Detail Studio the following ways. Call 210-863-1633 or email us at jaysdetail@gmail.com for your car detailing, paint protection, paint coating and window tinting needs.